With the film being released in the US on Friday (25th), Lionsgate have been doing sterling work in NOT keeping quiet about The Quiet Ones. In case you've been hiding under a rock for the past few months (and I wouldn't blame you tbh) here's the official film synopsis. 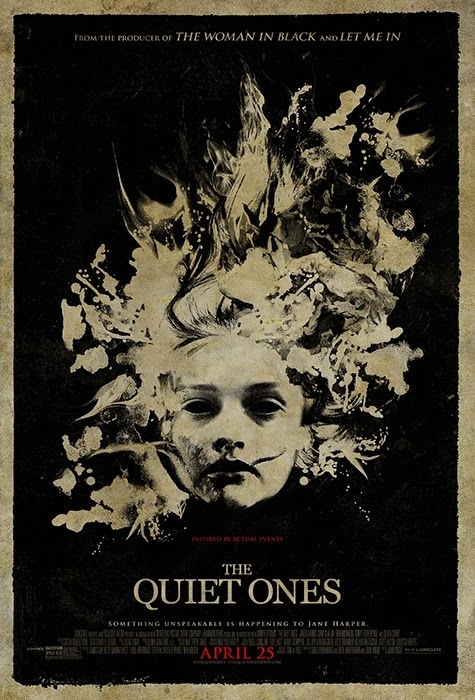 "From the producer who brought you The Woman In Black and Let Me In comes the unnerving tale of The Quiet Ones. Tucked away in an estate outside of London, Professor Coupland along with a team of university students conduct an "experiment" on Jane Harper, a young girl who harbors unspeakable secrets. What dark forces they uncover are more terrifying than any of them expected. Inspired by true events, the film stars Jared Harris (Mad Men and Sherlock Homes: A Game of Shadows), Sam Claflin (The Hunger Games: Catching Fire), Olivia Cooke (Bates Motel), and is directed by John Pogue from a screenplay by Craig Rosenberg and Oren Moverman and John Pogue, and based on a screenplay by Tom de Ville. Lionsgate presents and Exclusive Media presents in association with Traveling Picture Show Company a Hammer Films production in association with Midfield Films."